I have been a small upland organic farmer for more than 30 years, previously raising beef and currently farming sheep. I can’t remember when I first encountered the use of homeopathic thuja for treating Orf in sheep, but when many years ago my own sheep developed Orf I turned to thuja almost automatically. The more conventional veterinary world couldn’t offer any treatment except, of course, antibiotics if secondary infection resulted. I did think critically about what I was doing, but – whilst being a ruthlessly sceptical person – I was open minded enough to recognise there was lot I did not understand, – and, – if something works there must be reason for it – even if I could not see how it was possible. When I suffered prolapsed discs in my lower spine, the conventional medical world declared that the severity did not warrant an operation and so there was nothing else they could do. If I was to continue farming I needed to get better and so it was up to my body to heal itself. I went to see a homeopath. Of course I can’t be absolutely sure, but I think she helped – possibly a lot. 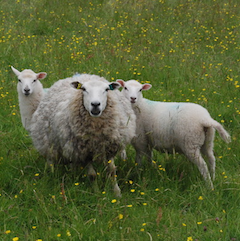 This only happened to me once whereas with my sheep, Orf happened sufficiently often over the years to reinforce the – shall I call it ‘suspicion’ – that the homeopathic remedy really did seem to be clearing up the Orf, partly because it usually happened very soon after treatment. One thing I was very fortunate to realise at an early age is that nature is clever, – very clever – I know people get things wrong but nature does not. I have a friend who is veterinary surgeon, and my attention in recent months has been drawn to the unwarranted and pointless challenge to veterinary homeopathy from certain quarters. One of the major challenges to homeopathy is a claim that it is not science based. This is a fascinating nonsensical claim and one quite inadvertently mocked recently by Will Self on Radio 4 airing his ‘point of view’ on the recent history of mental health treatment within the health service. Not a lot of hard evidence to the science there! Medical treatments continually change, opinions change, and scientific understanding evolves and interpretation develops. Nowadays there are the vested interests of drug companies to consider, the inherent problem being that, as companies with shareholders, they are legally bound NOT to allow anything to impede profit. The way scientific research is conducted would also benefit from much more open scrutiny as much of it is conducted by drug companies. It is also very easy to cherry pick studies and draw erroneous conclusions in order to support an ulterior motive or a personal or popular belief. The way we accept or reject what is plausible or not is probably affected by much that is irrational. As I write, an urgent global day of action by citizens from 90 countries is taking place calling on governments of the world to act on climate change. Something that is, or should be, relevant to everything we do now is climate change. But my point is that despite the urgency and the science that points overwhelmingly to the folly of proceeding with fossil fuels such as fracking, our government is unable, it seems, to accept the science in some strange belief that economic growth is more important than a habitable planet. I could add that science is also telling us that 1 tonne of artificial nitrogen fertiliser puts about 6 or so tonnes of Carbon Dioxide into the atmosphere in its manufacture, that it also harms soil organisms paradoxically making the soil less fertile, which in turn releases MORE greenhouse gases. But if agriculture moves in the right direction – I mean globally and holistically – it will be that which saves the planet. Our soil has the potential to sequester a lot of carbon when the vegetation and crops are managed well to photosynthesise to best advantage – ie as nature would, without our intervention. Then the soil we could have, after enabling nature to restore or regenerate what we have destroyed over millennia, will sequester even more carbon. It will mean a lot of change and a lot of learning, and pretty much complete global humility from all those producing food. … And where does the homeopathy come in? Homeopathy is an holistic approach to health – it encourages looking at the whole picture with a view to enable self healing and for the good of the whole. It may seem just a bit far fetched, but as the climate situation – which is all our own making – is actually very urgent – those taking decisions on behalf of humanity and the planet, might be well served by adopting a similar approach and therefore make decisions that really are in the best interests of everyone. 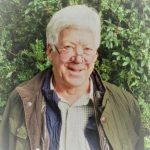 About the author: I’m Martin and have been a small upland organic farmer for more than 30 years, previously raising beef and currently I farm sheep. 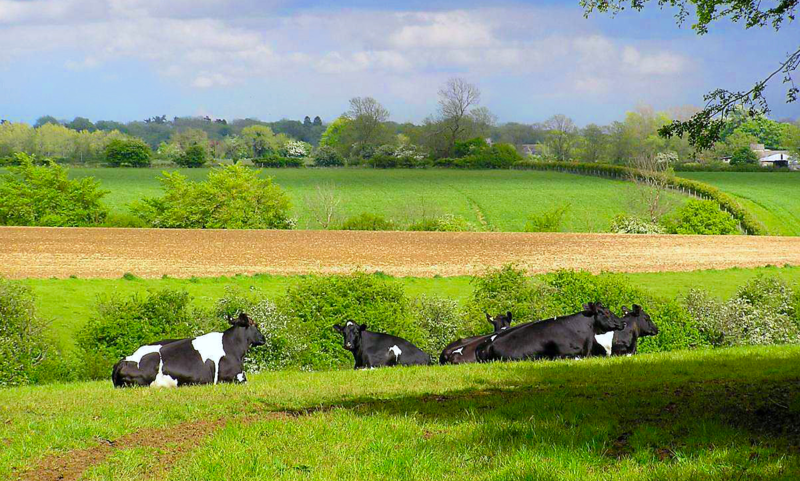 Next PostNext Meg’s Musings – Is This Farming as it Should Be?